20 mins from Tampa. 30 mins from TIA. Desirable neighborhood and schools with NO HOA. Recent renovations: 2019: pool pump. 2018: A/C, wood deck, concrete/river rock patio area, river rock front entry, lanai re-screen, electric panel upgrade. 2015: water heater and spare bath remodel. 2014: garage door and opener. 2009: pool resurface, salt conversion, upgraded filtration system. 2004: kitchen and master bath. Luxurious amount of storage. The home has been constantly maintained and improved. Impeccable records and receipts will be passed along to the new owner. Spotless. No wallpaper, carpet, or popcorn ceilings. Custom window shutters give this home curb appeal and make it unique in the neighborhood, fabulous extra lighting both inside and outside the home, a chefâs dream kitchen with induction range and convection oven, super efficient and space saving washer/dryer all in one combination unit directly off master bath, french door refrigerator, super quiet dishwasher, newer disposal. Includes completely wired TV and BOSE unit in master bedroom. 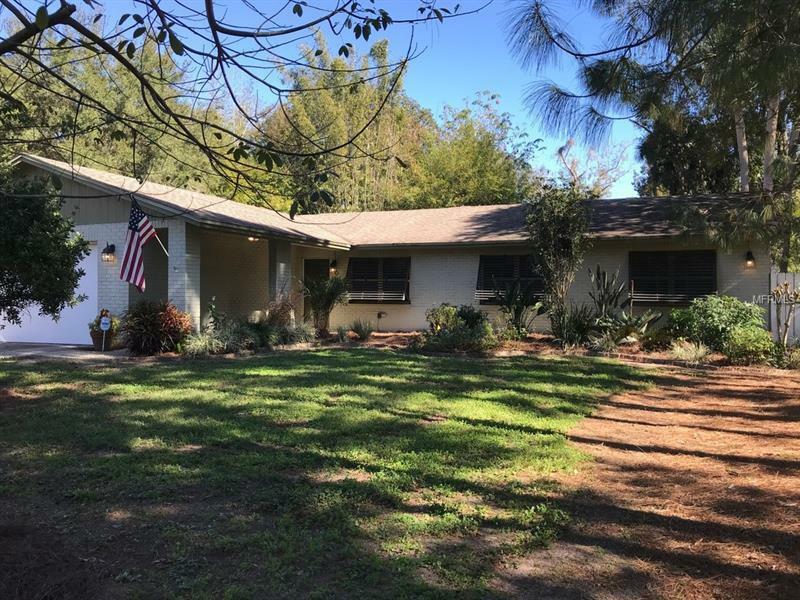 Captivating natural landscaping which includes front yard slash pine forest planted 2005, jacarandas in median, clumping bamboo in backyard that provides privacy, a producing Key Lime tree, and much, much more. Hummingbirds flock to this garden.